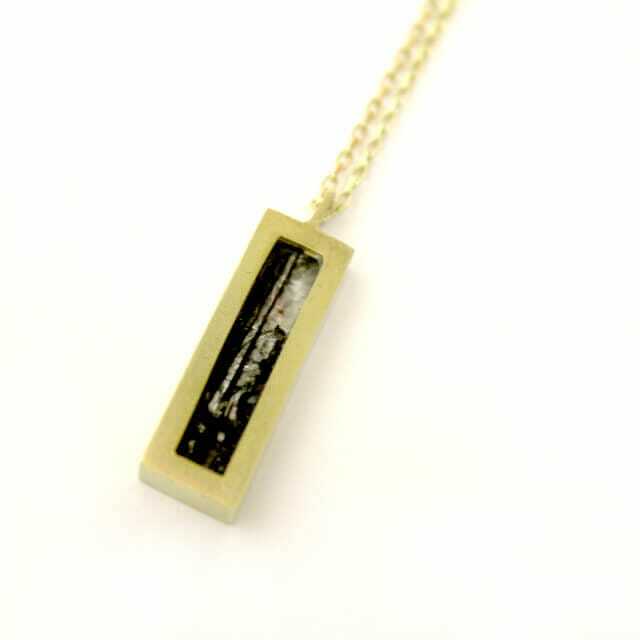 An 18ct gold- plated rectangular pendant. The simple form frames aluminium and printed acetate set in resin. The textural, ambiguous images set within the framework of a minimal, rectangular pendant, are representative of the repeated and fragmented mirrored surfaces present in modern architecture. 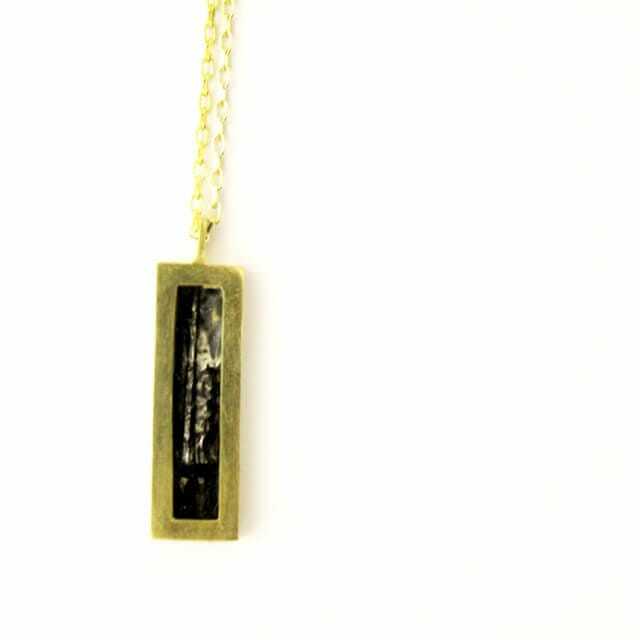 A development of my large- scale graduate collection, this pendant is a delicate, everyday interpretation of the visual concepts of reflection, distortion and fragmentation.